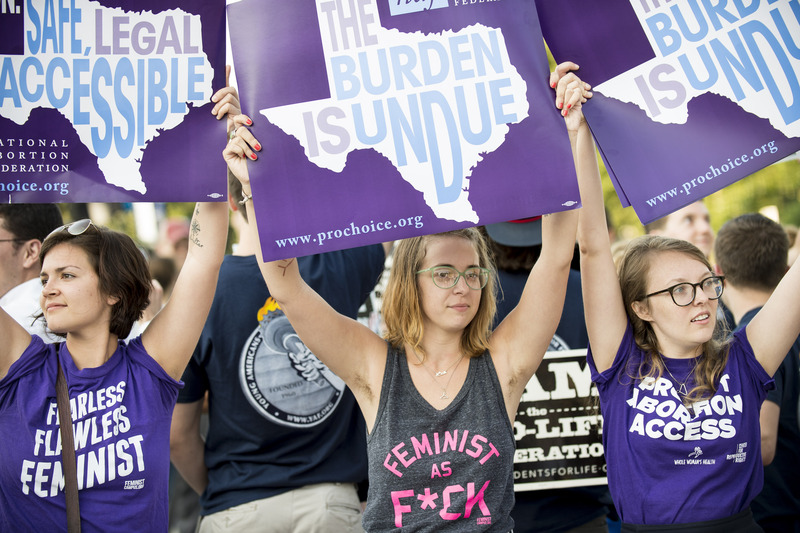 It's a great day for women and people who believe in reproductive rights: the Supreme Court has struck down Texas law HB2, protecting abortion access in Texas. It's the latest development in the long and controversial history of abortion in America — which makes this an excellent time to look back on that history. Because abortion is more than just talking points; it's a political issue that has shaped America for decades. Abortion has long been controversial in the U.S., and it remains that way today. Although it was first legalized in the 1973 Supreme Court decision Roe v Wade, the public remains divided on the issue — with most people thankfully taking a more nuanced view than the political rhetoric sometimes suggests. Amidst all the talking points and political posturing, though, the history of this debate, and of abortion itself, often gets lost in the shuffle. Although people usually know plenty about the modern slogans of both sides of the modern abortion debate, we aren't as well-versed in the shape it's taken over the years. And that's a shame, because with a topic this heated and divisive, taking a broader perspective and trying to gain a more informed and nuanced understanding can only be beneficial. So if you're interested in learning more about abortion, here are six books about the history of abortion in the U.S. that can hep you out. Called "a near-perfect primer on the topic," this book looks at the history of women's reproductive lives in the U.S. and our fight to control our reproductive destiny. It looks not only at abortion but at sexual abuse under slavery, the forcible removal of Native children fro their families, and forced sterilization programs throughout U.S. history, among other reproductive issues. So if you're looking for a broader perspective on the issue of reproductive rights this is a great place to start. Roe v Wade has been the law of the land for two generations now, which means it's easy to forget what life was like before abortion was legal. The Story of Jane looks back on that time. Jane was, in fact, not a person but the code name of an organization that helped women secure safe abortions in the years before the procedure was legalized. For a broader look at abortion before Roe v Wade, you can also check out Marvin Olasky's book Abortion Rites, which examines the history of abortion in the U.S. and paints a complex picture of what the practice looked like, and how attitudes about it changed over time. Written without any particular political position, the book looks only at the facts available in the historical record. The Catholic Church might be the staunchest opponent of abortion in America, but the Church's history of the subject is more complex than many people may realize. In fact, there have long been pro-choice Catholics who have advocated for a change in the Church's position. Good Catholics chronicles that effort, and the response of Church leaders. If you want to understand the current battle for reproductive rights in America, it helps to go back to the beginning — or at least the beginning of the organized movement. Margaret Sanger, who was the most visible advocate for contraception access in her time and who founded the precursor to Planned Parenthood, has always been a controversial figure. But understanding her life and her work is an important piece of the puzzle in the history of reproductive rights in this country. What has abortion access been like in ore recent years? In her memoir This Common Secret, abortion provider Susan Wicklund chronicles more than two decades of her life as a doctor providing healthcare to women, including abortion. Wicklund provides both statistics and personal stories — including her own experience terminating a pregnancy — to provide a well-rounded perspective on the state of abortion in our country's more recent history as well.